My mother called me today to mention the things she has bought at the Salvation Army to sell on ebay. She didn’t mention her plans to me for this particular day. She does every single day of my life. She then tells me about the soup she is cooking on the stove and how her and my father like to eat it with crusty pieces of French bread. To lengthen the phone call she describes the contents of the care package she is sending me this week and then say that she doesn’t want to cost me too much money so we’d better get off the phone. My mother is under the impression that each phone call costs me a dollar a minute. In the duration of the call she over enunciates her O’s and Ah’s like a good Minnesotan should, although she moved away 13 years ago. I freakin love the heck out of my mother and I cannot imagine what having another mother would be like. She’s not perfect, of course, but ever since I had a son I realize that it is a needed thing to daily check in with your mom. I will indeed be devastated if my son does not allow me to converse with him daily about the new drapes I will be buying to match the sofa in my living room in the home that I do not live in yet. Now back to those care packages. There are a few items which I can guarantee will be in there every time. 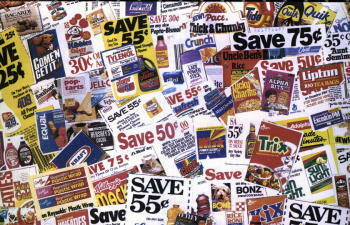 1. coupons- I hate coupons. I hated accepting them when I was a cashier and I hate using them as a patron. But if I want to buy imitation cheese at 25 cents off, I sure as heck can. 2. canned salmon- about two years ago I mentioned to my mother that I bought a can of salmon, and how I wondered why there were so many bones left inside. She took this as, “Mom, I have a confession to make. 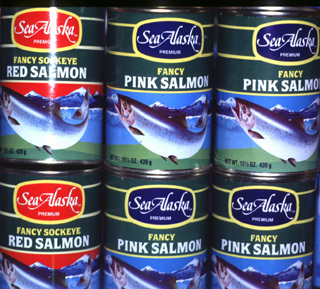 I love the heck outta canned salmon, could you please send me a can every month” I am by the way, saving them. 4. Snack packs- who doesn’t love them? Well, except for the times they are tapioca…what the heck if that stuff anyhow? Please don’t ever link this page to my mother, cause I love that her care packages are unfiltered. Its ten pm now and I am going to go call her so she can ask me why I am up so late. I think once us mothers hit 50 something happens. I never sent that brand of salmon. No wonder you had bones!